Old Billingsgate, a grand repurposed Victorian fish market in London was again the venue for this year’s Transport Ticketing Global event. However, instead of fish the exhibition venue swam with key international players in ticketing for the transport sector. 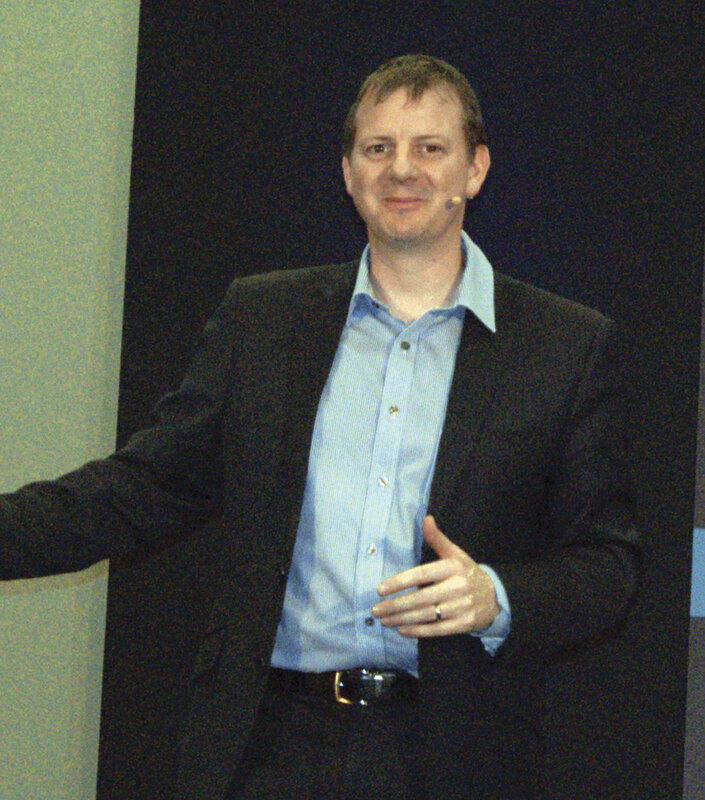 Chris Peat attended the second day of the two day event to bring you some of the latest thinking, ideas and technology in this fascinating sector. Being held in London, it is perhaps fitting that one of the speakers of the day was from TfL. 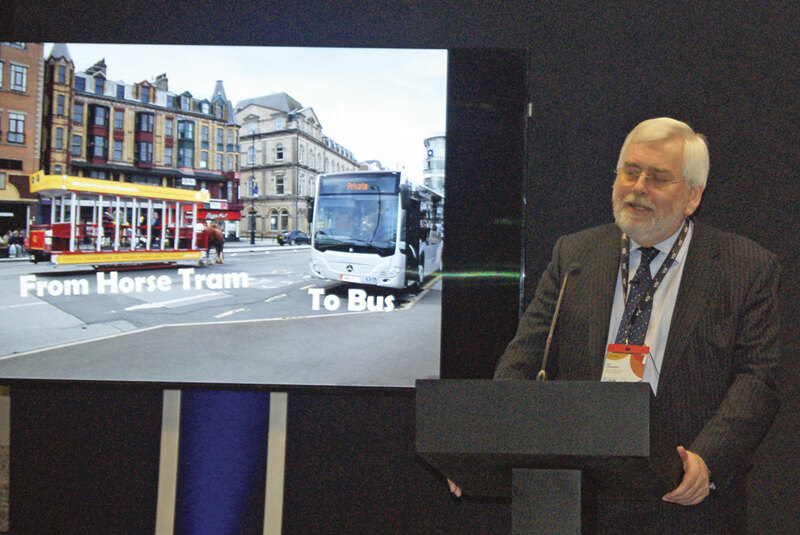 Phil Young is Head of TfL Online and delivered a talk entitled ‘Delivering Great Customer Experiences through social media, bots and open data’. He started by outlining the ‘vast’ amount of things his organisation does in the capital, noting there are 9,200 buses on its network. 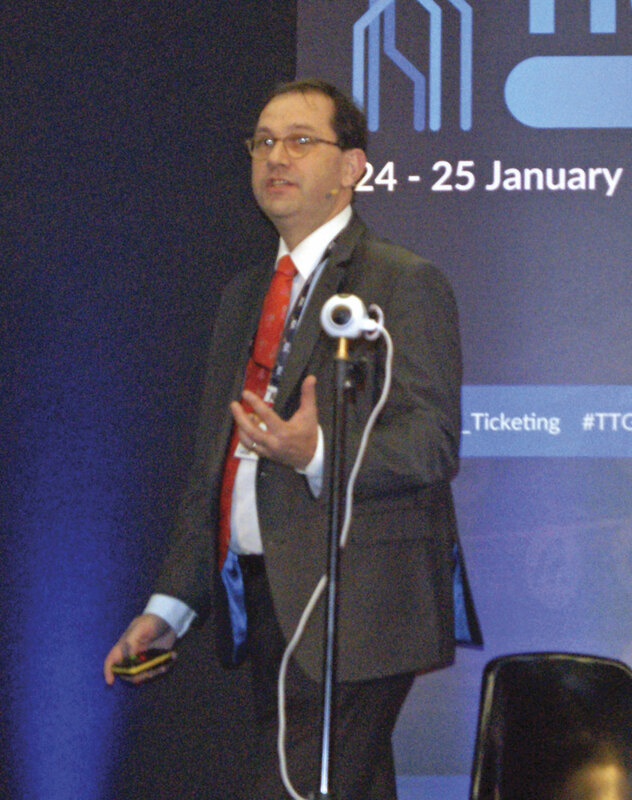 His talk focused on how data from ticketing systems and elsewhere in the organisation has assisted it in delivering a better customer experience and helped encourage economic development and growth. In fact, people had already been doing this, taking information from the TfL website for their own developments. TfL saw the need for developing an offering for the Tube status, as at the time it was working on the Underground network so there were a lot of station closures during weekends. Phil said the transport authority sought ‘greater reach’ to travellers to let them know about any closures. In 2008/09 the organisation decided to make data available to developers to create transport apps and opened up its data for this. Sure enough, developers quickly created apps. In 2014, TfL made it even easier to do this, with it transferring all its data into a single model. This unified API (Application Programming Interface) provided a set of functions and procedures for the creation of applications which access the features or data from TfL. This saw a further explosion in use of its data for apps. As such, the focus was on further engaging with TfL users and ‘playing to the strengths’ of each social media platform. The plan was to provide information that is relevant to passengers, which is actionable and consistent. One of the benefits it has found of doing this is questions can be answered much faster and it means capacity can be taken out from its contact centre and focused elsewhere. Social media has proved a cheaper channel and one that ‘customers prefer’. Despite having developed into the world of apps and social media, TfL still has ‘some mileage yet’ in further rolling these technologies out, according to Phil. It is looking to do transactions better using the technology and exploring the possibility of further automation. A mobile ticketing scheme soon to be rolled out in France was the subject of Wizway Solutions CEO, Louis Bross’s presentation. His company was founded by four major groups, namely French transport giant RATP, digital security specialist Genalto, train operator SNCF and mobile network provider Orange. The aim of the joint venture is to develop the customer use of mobile phone ticketing. Louis looked at the current paper ticket method from the passenger’s perspective, pulling out the various tickets he needed for his journey between Paris and London. Out from his pockets came tickets for planes and trains, with them unceremoniously dumped on the floor to illustrate his point that they are becoming redundant. He then went on to highlight the hassle of deciding which website to buy tickets from. One thing that would make ticketing easier, he said, is mobile phones. Smartphones are in the hands of 3.3bn people, Louis said. He went on to say the customer expects an ‘all in one travel companion’. One of the benefits of using mobiles for ticketing is that their standards are operated worldwide. He then showed a film produced by Wizway advertising his company’s solution for travellers, demonstrating an easy to use, multi-modal ticketing solution. The organisation’s market research suggested nine out of ten were willing to use Near Field Communication (NFC), the technology smartphones commonly use to enable ticketing, for travel. He said it is not a case of ‘if and when’ with the introduction of mobile ticketing, but ‘how’. There are six key factors to mobile ticketing, Louis said. It has to be cost effective, so has to be compatible with existing ticketing systems. It has to be customer orientated, as well as comprehensive, ‘ready to go’, safe and secure and, finally, scalable. He does see the need for a ‘ticketing hub’ for mobile ticketing, noting the existence of such standards as ITSO and CIPURSE for this. Wizway’s solution for transport in France is due to go live in a ‘few weeks’. It has been designed to be evolved, a key aspect for mobile ticketing. 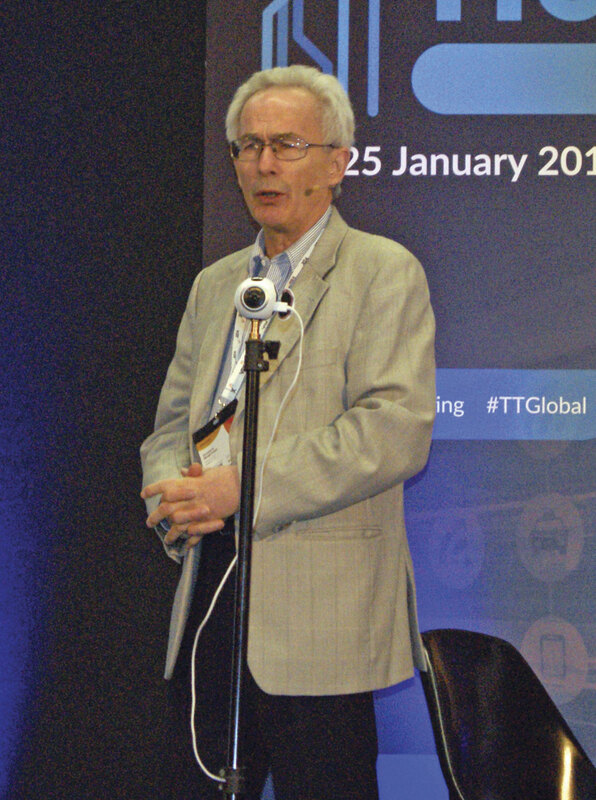 From France to Denmark, the next presentation was by Gregers Morgense, Senior Advisor at Rejsekort, the Danish electronic transport ticketing system. A smartcard has been rolled out on the Nordic country’s transport network that allows Danes to go anywhere in the country by tapping in at a terminal or vehicle and then tapping out on the journey’s completion. There are no gates at stations, so an issue is people not tapping out. This is a particular concern for long distance transport operators who risk losing considerable revenue when this occurs. In response to this, Denmark’s Transport Minister conducted a study in 2014. It concluded that pre-payments would have to be lowered and Rejsekort was charged with making an app that would allow users to post the stop they forgot to tap out of. A competition was run for app developers to design this and the winning entry was then taken on and developed into the final application. When it came to rolling this out into commercial use, transport operators were concerned it could be a big risk, so a ‘silent launch’ of it was agreed. However, the press got wind of it and the first day of launch saw 40,000 downloads. The app notifies when users do not tap out. It allows customers to enter the time and place they alighted a service and the system then matches and registers this. If they forget to tap out on a long journey more than three times in 12 months then their card may get blocked. There are 2% of journeys where passengers do not tap out in Denmark. Gregers described there being a ‘learning curve’ involved here, with places where it was rolled out earlier than elsewhere having only 0.7% of journeys where people were not checking out. Once you start using apps, according to Gregers, you start getting ‘lots of reactions’, both positive and negative, with some leaving comments via the app which indicate they perhaps do not fully understand the system or the app. Launched in 2016, it has had 200,000 downloads with only 120 customers hitting the three failed tap outs over a 12 month period. Most people are using the app as soon as they realise they forget to check out, according to Gregers. If people register within half an hour of leaving the service ‘we say we believe you’. One of the benefits of this ‘intuitive’ system is it lessens the burden on the call centre. It also highlights there is ‘not much fraud’ on the system. A future expansion may see a children’s version of the transport card introduced. It is deemed to be a payment card, so under-16s cannot currently use it in Denmark, but Gregers says there is a way around this. In general, the scheme has been ‘received very positively’ with a net revenue gain reported. No one seems to be taking advantage of lower fares and Gregers described it as a ‘very good stepping stone’ for going into account based ticketing (a fare collection solution that uses the back office system to apply relevant business rules, determine the fare and settle the transaction). 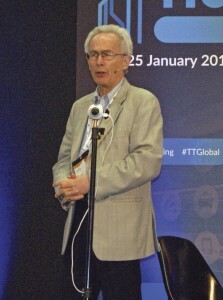 Asking the question of whether proprietary ticketing (where the ticketing is owned and controlled by the company providing the transport) is dead, was Andrew Hartnett, Associate Director of NTT DATA. His IT services company covers ‘a wide span of the transport ecosystem’. Asking the above question, he compares the situation to the evolution of TV. To begin with, televisions were highly proprietary hardware, with broadcasting networks deciding what can be watched and at what time. Following the launch of colour TV, the first step outside the traditional market was made with a TV card for desktops and laptops launched, which meant people were not restricted to watching programmes on television sets. However, viewers were still reliant on the network. Now, with the advent of offerings like Netflix, people can choose what and when to watch, as well as how they pay for it. Andrew asked if the transport sector is as advanced as TV? Or is it lagging behind? Transport ticketing, he says, is now starting to blend this way of thinking with a still present proprietary ticketing model. Cloud based applications are starting to be used, but have not really been embraced to their full potential. Andrew asked, how bold can we be in moving forward? He says there is a need to allow systems to look at how customers want to travel and make decisions throughout the whole of the day. Customers want to spend no more than 30 seconds thinking about the public transport system they use, he said. A positive outcome of any transport ticketing system would be one where the user is unaware of how complicated the solution is. There is a need to bring data from all sorts of sources, from school timetables to airline schedules and more, looking at all data available to make decisions on the formulation of a ticketing and transport system. Andrew believes it is time to step away from the perceived need to ‘control and deprive’ the transport ticketing ecosystem. The industry ‘needs to embrace the intangible’, with there being ‘no place’ for a proprietary solution if we are to keep pace with the expectations of the customer. He sees a ‘pendulum swing’ away from proprietary and towards a system where customers and clients drive what is implemented. Director of Public Transport at the Isle of Man, Ian Longworth, spoke about transport ticketing on the island. He started by giving some background information on the island, mentioning that its transport network is at its busiest during the annual motorsport events. Bus Vannin is the local bus operator, delivering 4m passenger journeys a year. ‘They serve the island thoroughly’, he claims, running services from 04.00 to 22.00 with a modern fleet of vehicles. The oldest double deckers in the fleet are 2009 plates, which he said are to go in two years’ time, whilst the most elderly single deckers are Mercedes-Benz Citaros that were new in 2011. Their routes are ‘comprehensive’, with Ian showing a map of the network and noting that the only considerable gap, in the middle, without any network lines ‘is a mountain’. The fleet has 4G Wi-Fi throughout, with 12,000 accesses per week. Other public transport options include the Manx electric railway, the Snaefell mountain railway, the IofM steam railway and horse trams. Although introduced in 1876, the latter have modern technology onboard in the form of Ticketer hand held electronic ticket machines. Delightfully, they print tickets with the name of the horse pulling the tram. Smart ticketing has widely been rolled out on the island. The introduction started with children, with Ian saying kids are likely to be the most comfortable with and ‘drive acceptance’ of using them. He said the younger generations can then help the elderly population learn how to use them. The local government and residents had some fun naming the smartcards, calling the senior citizen one GoSilver and the teenager variant GoEasy. There is even a GoHorse season ticket for the horse tram. A lot has been gained from the smartcards, Ian claims, with subsidy to public transport reduced 15% over five years whilst wages and inflation have been absorbed. Fares have not been put up since 2012, ‘we haven’t needed to’. On the exhibition side, Masabi was promoting its new mobile ticketing and fare collection platform, Justride. Having rolled out similar projects in some of the US’s major cities and beyond, it is using its experience to provide a fixed offering. This affectively enables a mobile ticketing solution used in somewhere like New York to be used by small bus operations on these shores. The Justride App enables passengers to buy and display tickets on their smartphones. It is designed to only process tickets, a factor that Marketing Manager, James Gooch, claims is a benefit. The more extra options and functionalities an app offers, he believes, along with the additional buttons users have to press to get what they want, puts people off using them. The app is joined by a back office system and an inspector validation suite. 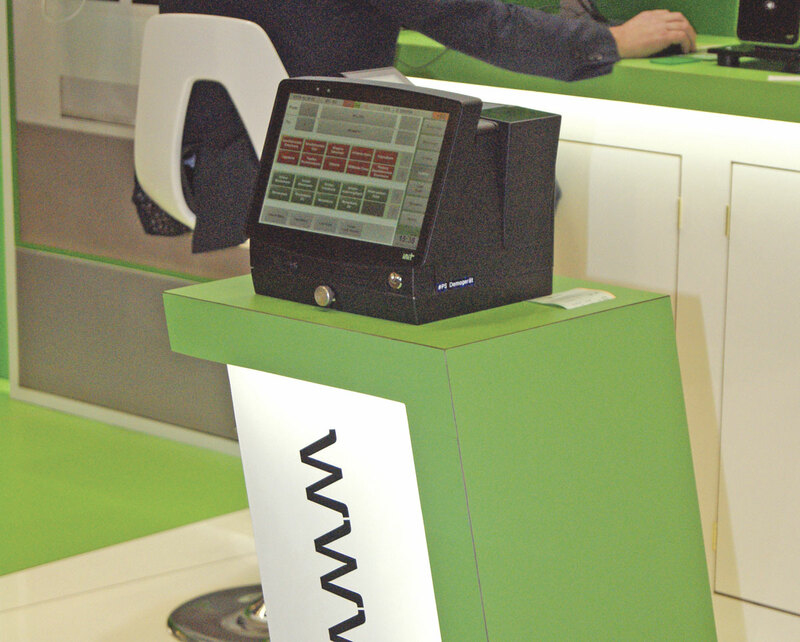 Masabi was also promoting its multi-format readers, which can be used to process mobile ticketing, EMV transactions and smartcards. 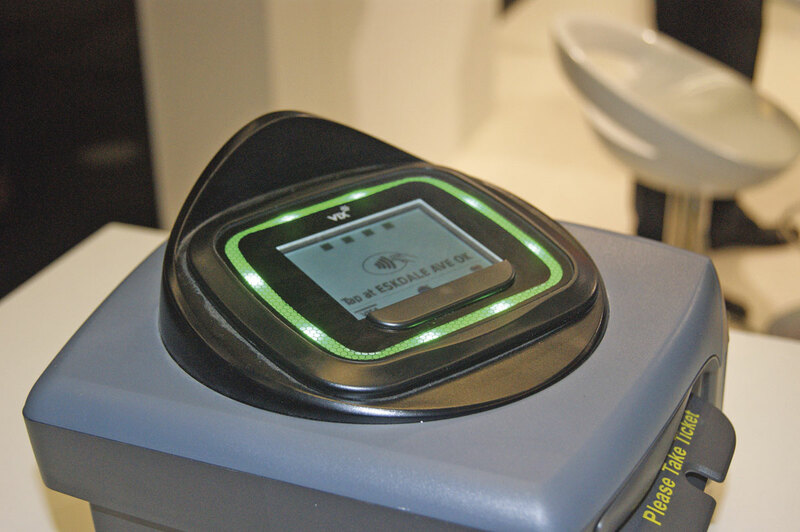 Parkeon had its Wayfarer 6 on show, which had an EMV card reader linked to it for the acceptance of bank and credit card payments. 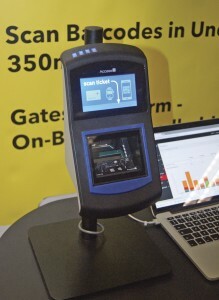 The ticket machine has 3G/4G internet connectivity and built in GPS. Intended for use in ‘smart cities’, it is designed to be an update to the previous model, the Wayfarer 200. The contactless EMV card reader is the Axio 4C, which is currently being trialled by Arriva North East. 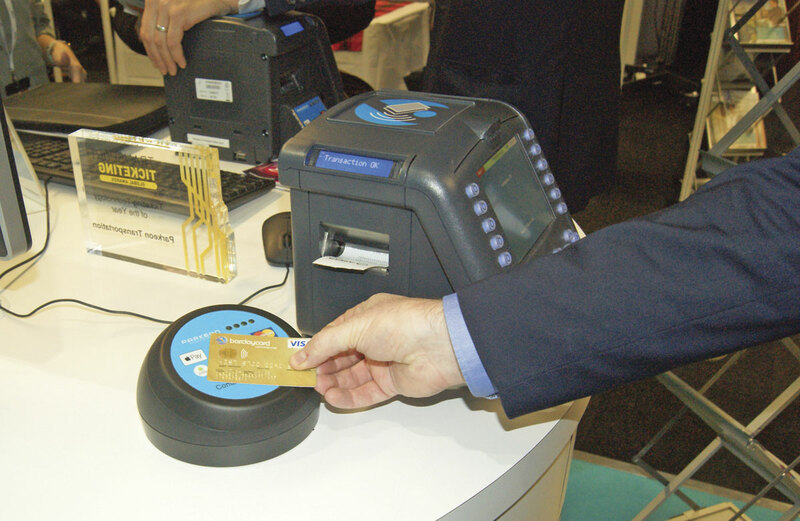 Business Development Manager – UK Bus, Parkeon, Darren Humphrys, said there has been ‘loads of interest’ for EMV readers, with all big groups having a strategy for it. There are also trials for it on Transdev’s route 36 in Harrogate, with discussions taking place to possibly roll it out more widely across the operator’s services. 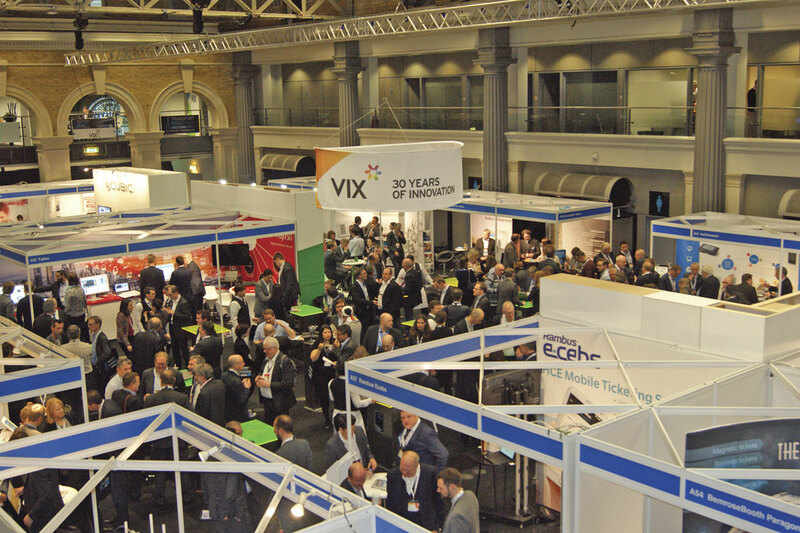 With banners in the exhibition space making it clear, Vix Technology is celebrating ‘30 years of innovation’. The company is soon to run a trial with Stagecoach, which will see hundreds of its EMV card reader ticket machines installed on the operator’s buses. Vix Key Account Manager, Rob Holton, said driver training for the machines is being carried out. 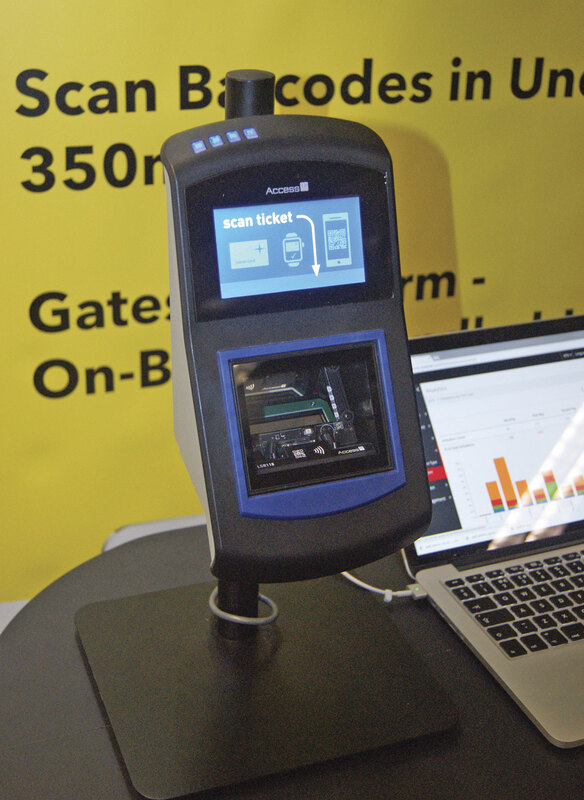 However, it is not a massive change for the operator, which already has its TP5000 machines installed for the process of the firm’s megarider smartcard scheme. A mobile app is being worked on by ITSO. 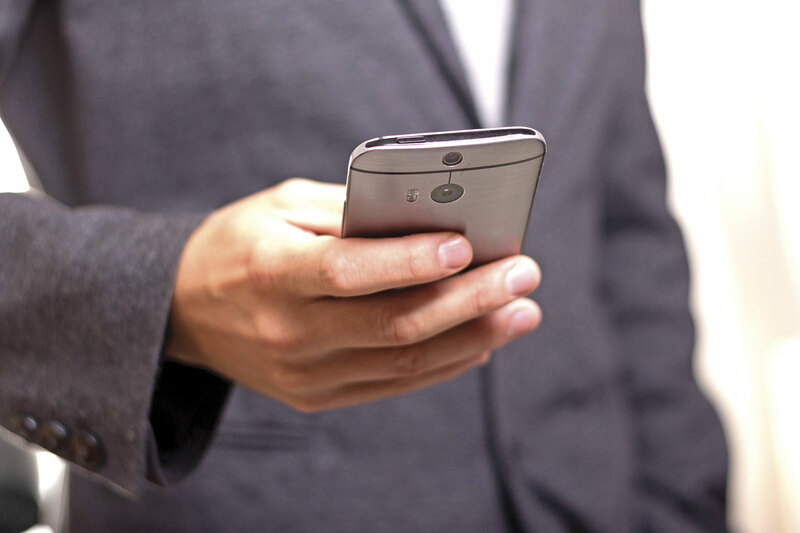 The membership organisation’s smartcard standard is being moved onto mobile phones using ‘host card emulation’ technology, which means a phone is affectively given an internal smartcard. The project is currently being trialled on a bus route between Leeds and Bradford, with West Yorkshire Combined Authority and Transport for the North staff using it for the duration of the test. The organisation is also working with West Midlands Combined Authority in an effort to deploy a scheme in the summer. One of the offerings being promoted by mobile software developer, Penrillian, is a multimodal ticketing app. Called Voyager, it enables users to plan, purchase, download and top up tickets and passes for public transport directly to a smartcard via their mobile device. 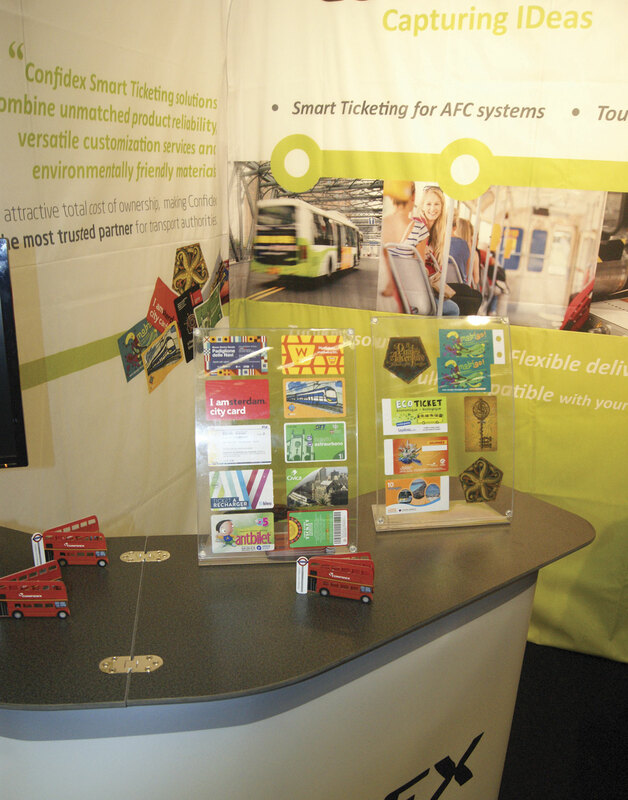 The technology development is intended to enable public transport operators to offer a customer the facility to buy tickets and passes, then instantly top up their ITSO travel smartcard using their mobile’s in-built Near Field Communication (NFC) capabilities. Transport technology specialist, INIT, was present to tell visitors about its equipment. One device on show was the EVENDpc2 combined ticket printer and PC based onboard computer. 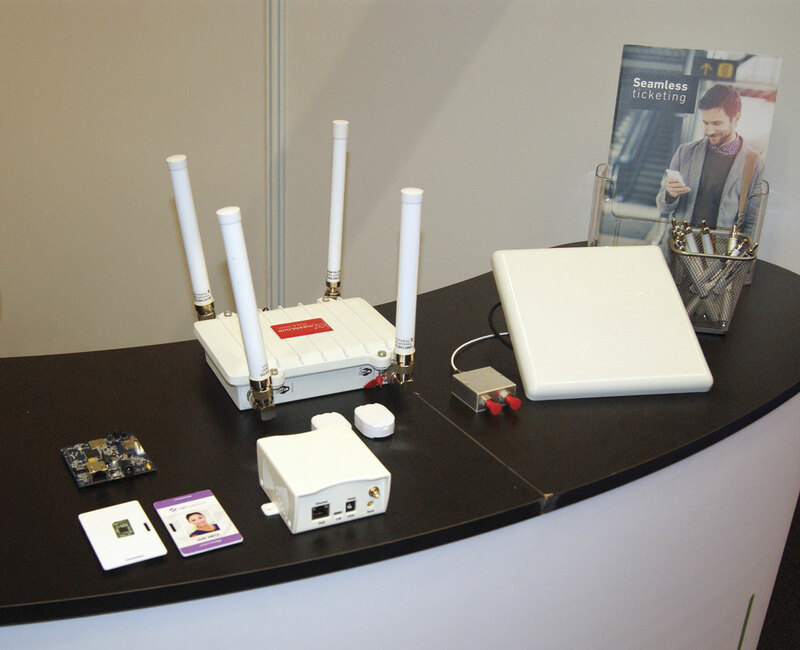 It can enable applications such as driver navigation and has a hybrid card reader. Its hybrid card reader supports ticketing technology, including open payment functions based on EMV standards and account based systems. The mounting plate has a micro SD card for back up storage of sales data. French company, Confidex, displayed its smart ticket products. It offers more than the actual tickets, providing a turnkey solution that is compatible with ticketing infrastructures. 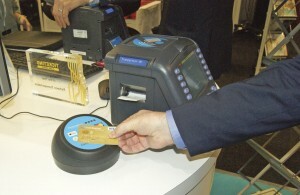 Showing its MobilePay payment terminal was Danish firm, GoApplified. The all in one payment terminals feature MobilePay, mobile phone payment capabilities, as well as being able to handle all card payments. They can also have a built in printer for vending receipts. It also showed its beacon technology, which detects passenger’s smartphones when they board a bus or coach and works out fares based on where they boarded and alighted. It is designed to complement or replace travel cards and tickets.